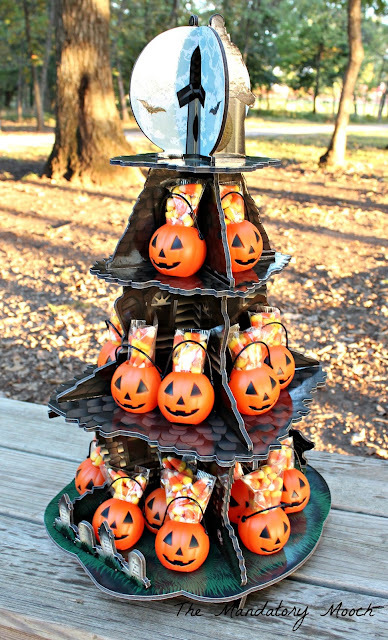 Looking for a spooky Halloween treat display? Check out this Haunted House Halloween Candy Tower that I created with the help from Oriental Trading. 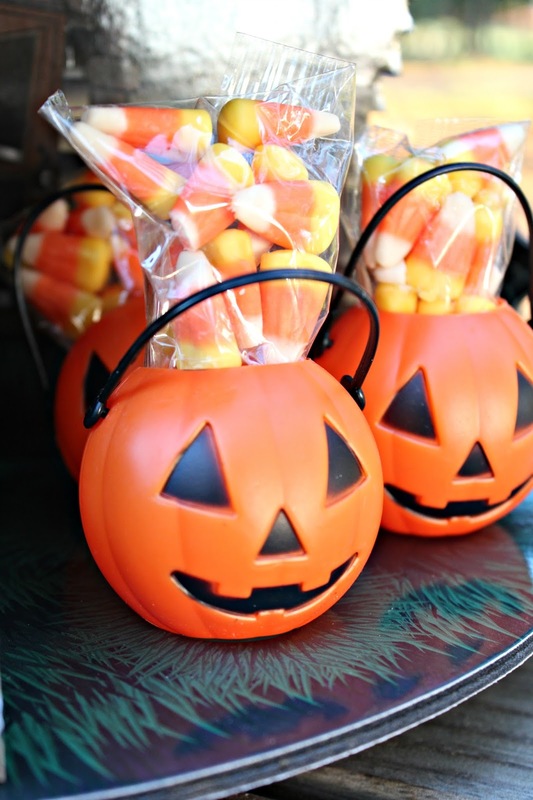 They have a large variety of Halloween candy, decorations, and party supplies. 1. 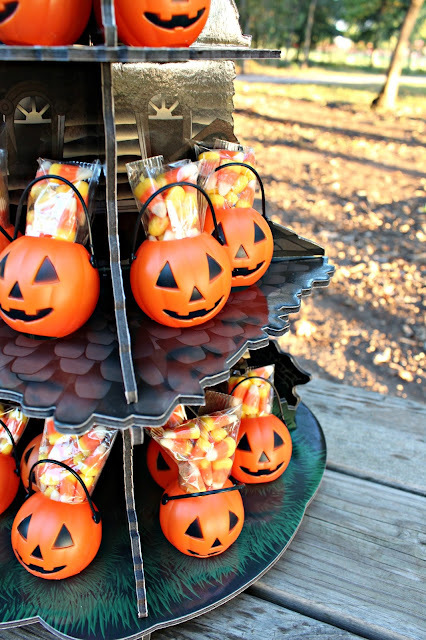 Fold candy corn packet to fit into the buckets. Stuff each bucket with a packet. 2. Put together haunted house as directed. 3. Place buckets on tiers of haunted house. 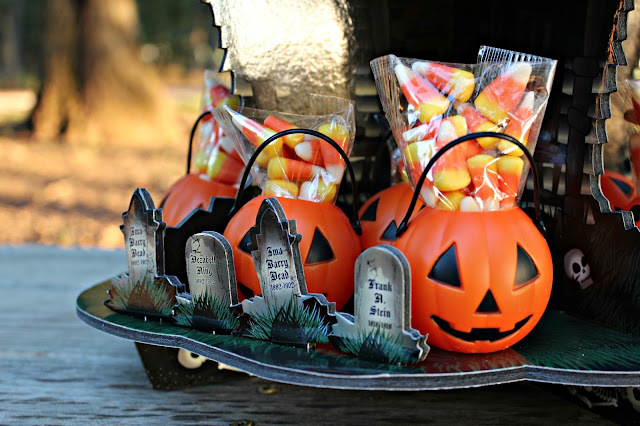 If you are looking for more great ideas and Halloween candy supplies go to Oriental Trading. There are so many items to choose from. **Oriental Trading sent me products for this post. All opinions are my own. So adorable! 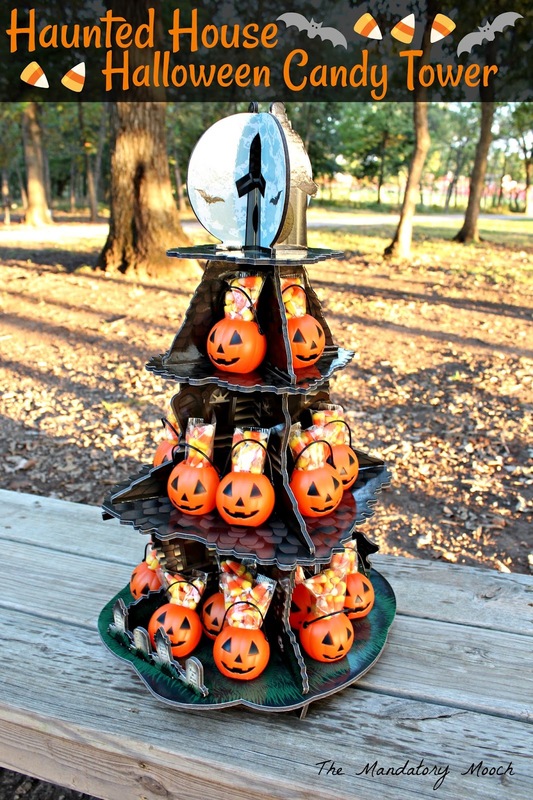 I would love for you to link up to the Hauntingly Beautiful Decor Halloween link party! This is so cute! I love it! Thanks for sharing with Hauntingly Beautiful Decor! Such a cute idea! I love Oriental Trading Company!